Sand, snakes, sunsets, and survival are the key elements that make a good TV Western. It’s these and a passion for the Old West that keep fans of The High Chaparral television series returning to Tucson. The next reunion for the cast, crew, production staff, and their fans is slated for October 22 at the Old Tucson Studios. The High Chaparral, filmed in the Sonoran Desert over 40 years ago, captured more than the hearts of thousands of fans around the world. If you ask the remaining cast members and crew, it was the only Western in a long line of colorful serials portraying true grit and historical depth of the cowboy, Indian, and ranchero. If you ask anyone who was on the set, cast or crew, you’ll hear the devotion in their voice, and see the memories in their eyes. "It was one of the best groups I was ever associated with. We all enjoyed the show, the location, and had a wonderful time," said Don Collier, actor who played the role of foreman Sam Butler on the series. He returns each reunion signing autographs and telling stories to fans. He may have played the part of ranch foreman but he still commands the respect of the Bunkhouse Boys who filled the supporting cast and ran the ranch. This older generation of actors still look forward to seeing each other and stepping down the dusty boardwalks of Old Tucson. When asked about the up-coming Reunion, Don Collier said, "I get a kick out of going to the reunion - it's a great bunch of people. I'll keep coming to the reunions as long as they keep having them." Most of the celebrities and guest stars attend the Reunion when their schedules permit. Traveling around the country to autograph shows and film festivals has been mainstay for many of them. Since 2003, the fans have honored the screen memories and the personal meetings … time celebrities give to the devoted fans who travel from all over the world to see and meet them in an intimate setting. The fans may not be in their prime either, having to make their pilgrimage to Tucson from places like New Zealand, Australia, Chile, Holland, Bolivia, Germany, Canada, and Greece. This year the entire reunion celebration is being held from Oct.21-23 at the prestigious Lodge on the Desert Resort. It’s charm and detail to Southwest history and décor will be appreciated by fans who may be attending for their first time. 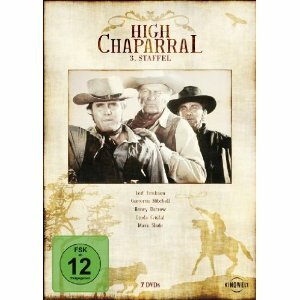 High Chaparral fans have a tendency to obsess on the elements that Tucson and its desert offers: golden sunsets, cactus gardens, Old West charm, and a perfect backdrop to indulge in memories of the world-class TV series that brings veteran actors back again and again. So now is the time to make reservations and gather to celebrate the ground-breaking, highly acclaimed NBC Western, The High Chaparral. Meet the artists who brought the Cannons, Montoyas, and Bunkhouse Boys to life! Notable attendees this year are: Henry Darrow (Manolito Montoya), Don Collier (Sam Butler), Ted Markland (Reno), Rudy Ramos (Wind), and Kent McCray and Susan McCray (producer and casting) —along with a list of guest stars, production, and crew members. One highlight of the event is the “Reunion at the Ranch” at the original Cannon ranch house, located at Old Tucson Studios. 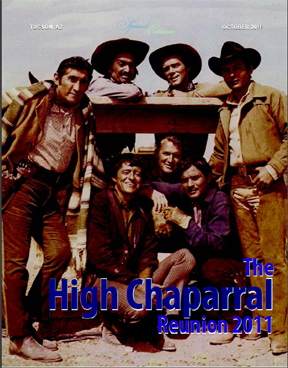 During the 2009 Reunion, an unbelievable number of former High Chaparral family came to meet fans, reminisce, and marvel at the numbers of people on the set. "It's just like the old days," was often heard. Many of them met for the first time in decades. The Reunion 2011 magazine is $20.00 USD, shipping included, and will be shipped in October when it's printed. There is a very limited print run so if you want a copy don't be disappointed, be sure to pre-order. Order your copy here. These are only available via pre-order until orders close in mid-September, so don't delay. 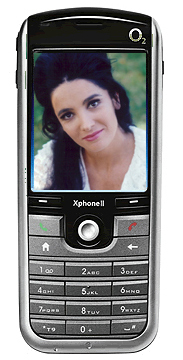 This year's highlight is a personal phone call with Linda Cristal. Getting to have a one-on-one phone call with Victoria Cannon has many fans ready to battle it out when it comes down to the final bid. If you aren't attending but would still like to bid on items, then check the HCDG (High Chaparral Discussion Group) on Yahoo Groups, it's a great way to make contact with a fan who's attending so they can be your auction proxy bidder. Enjoy pre-shopping and see the auction items on hand so far at the Reunion auction gallery. 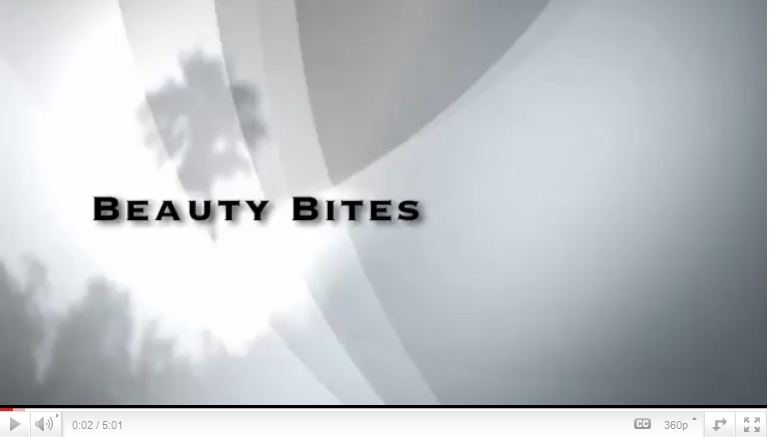 Nightfall by Susan McCray was accepted into the Celebrity Gifting Suite at the 2011 MTV Movie Awards which aired on June 5th. Have you friended Nightfall on Facebook? You should, and check out the newly redesigned Nightfall websitetoo! Nightfall Perfume by Susan McCray. Right, Lorenzo Lamas was seen picking up the new fragrance Nightfall by Susan McCray for wife Shawna Craig at the MTV Movie Awards gifting suite at SLS Hotel in Los Angeles. After the 2009 Reunion, Susan McCray featured a special Chaparral Reunion show. We're showcasing portions of that show for readers to enjoy thanks to Susan. Attendance registrations reached thirty-one for The High Chaparral Reunion, putting us closer to our goal of sixty attenders. 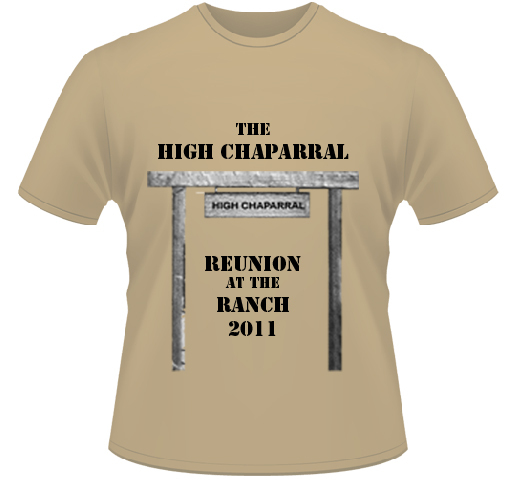 If you're planning to attend then register today at www.thehighchaparralreunion.com. The deadline to register is September 1, 2011. We will make every effort to accommodate late registrations, however there will be a late fee for anyone registering after the deadline of September 1. Save money and plan ahead, register today! To register, see the hotel venue, or for information on past gatherings visit the web site at wwwthehighchaparralreunion.com. We love questions and will do all we can to help you plan your trip or answer any concerns. Email info@highchaparralnewsletter.com. The High Chaparral, the NBC television network’s September Western entry is going all-out for authenticity near Tucson, Arizona – all Apaches will be real Indians. A talent search even turned up Nino Cochise, said to be a descendent of the great Indian leader Cochise. Permanent sets have been constructed 20 miles west of Tucson adjacent to Old Tucson, location of more than 50 movies. The color series has taken advantage of the rugged mountains surrounding the area, the ‘forest’ of cactus at Saguaro National Monument and local working ranches. Spanish and Indian language in the series will be ‘for real’, and over 300 authentic words in Apache sign language will be used. The High Chaparral cast and crew returns to Paramount Studios in Hollywood every two weeks to film interiors. Starring inn the hour-long action-adventure drama, which will immediately follow ‘Bonanza” on NBC-TV Sunday nights in the 1967-68 season, are Leif Erickson as John Cannon and Cameron Mitchell as brother Buck Cannon. Co-stars are Mark Slade as John’s son Billy Blue; Linda Cristal, as John’s second wife, Victoria and Henry Darrow as Victoria’s brother, Manolito Montoya. The Western depicts the trials and adventures of the Cannon family in trying to establish a cattle ranch west of Tucson in the 1870s against militant opposition of Indians. The High Chaparral is produced by Xanadu Productions in association with NBC-TV, David Dortort, creator of Bonanza and The High Chaparral is executive producer and Buck Houghton is producer. Rudy Ramos is the new boy on The High Chaparral. Rudy Is a 19-year-old Mexican-Indian from Oklahoma. The show's casting director was looking for that type, but couldn't find him. Then Rudy wandered in and, after he read, he was quickly told that he had the part. At first, he didn't believe it — it was all too sudden — but when he was convinced that it all had really happened, he had a reaction they still talk about in the program's office. He went over to the casting director's pretty secretary and said, "Do you mind if I put my arms around you? I just had something incredibly wonderful happen to me, and I have to bold on to someone,"
Rudy is a good-looking boy, so Suzie said, "Be my guest," and he stood there, with his arms around her and his head on her shoulder for a full minute. be a cowboy today, the difference between now and 90 years back. In many respects the same kind of man is required now as was then, even though they use helicopter and four-wheel drive instead of horses." 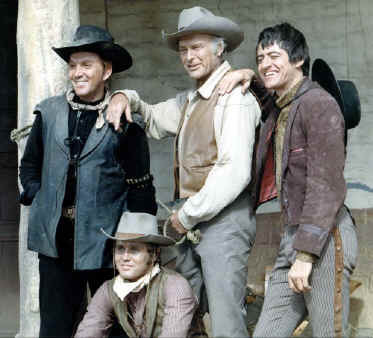 We continue our series about the supporting cast of The High Chaparral. This month, we will look at Ted Markland, Jerry Summers, Anthony Caruso and Roberto Contreras. The wranglers are another special group who, like the stunt crew, helped make the show great. Wranglers handle or help to control the animals used in the making of a movie or television program. They work with many different kinds of animals. We have horse wranglers, cow, snake and even chicken wranglers, to name a few. Denny Allan was the Head Wrangler for HC. To all of these ‘behind the scenes’ people, we tip our hats for a job well done. Now, last, but not least, we look at three more of High Chaparral’s wonderful supporting actors. Arriving in the first episode of High Chaparral and staying with the Cannons for two years, Ted Markland’s Reno was always something of a mystery figure. Yet at the same time, there is a familiarity about him that is hard to explain. Ted created a character who we instantly recognize, like and can form opinions about, yet he is a man of few words. Not unlike Don’s Sam Butler, Reno unfolds for the view more visually than any other way. 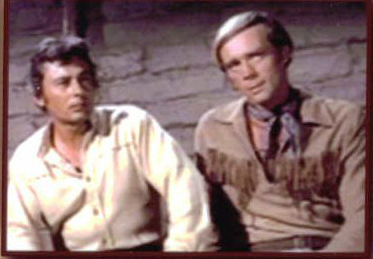 It is interesting to learn that Ted and Don, both quiet, appealing figures, worked together in a 1961 episode of The Outlaws. As part of his mystery, we don’t even learn if Reno is his first or last name. Like others in the cast, Reno wears a trademark outfit, in this case a fringed jacket, pants and boots all in the sandy color of the landscape. I find Ted’s portrayal of Reno most interesting. He is always present where a strong hand is needed, loyal and brave when there is trouble at the ranch or if anyone in particular needs a hand, yet we know so little about him. He is the singing cowboy of the Chaparral, often playing quietly on his guitar in the cool evenings. He certainly likes children as is obvious when he sings to the Indian children in Ten Little Indians. This in itself shows us that he has an artistic and gentle side as well as a strong, tough one. There is also a cheekiness about Reno that gives the character a further warmth. This probably comes from the fact that Ted Markland enjoys comedy in real life. He may not say much, but you can often see a twinkle in Reno’s eyes when he talks. His good nature is never far from the surface. I have seen Ted in a number of other roles and in every case he adds a certain something to the part that carries the unique Ted Markland touch. He made a perfect Reno. It is interesting to learn just how much Jerry Summers was involved in. Not only did he act, direct and perform as a stuntman in film and television, but he did so in over 400 productions! Like Reno, it is remarkable that we learn virtually nothing about who Ira is, yet we recognize him and know he can be counted on when the need arises. He seems a bit older than Blue, making him the youngest of the bunkhouse boys but no one can tell for sure. One would think that knowing so little about someone who seldom speaks (unless he has to) that Ira Bean would be a forgettable character. 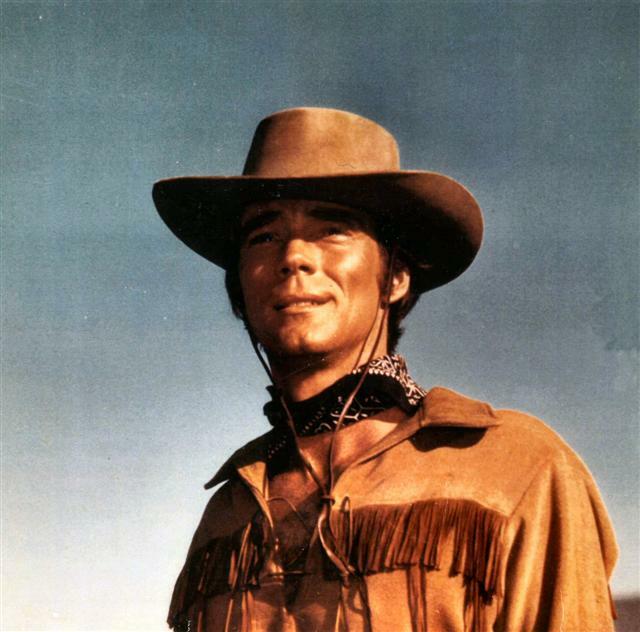 Yet, despite appearing in only one season of High Chaparral, fans know exactly who he is. Jerry made a great cowboy. In addition to High Chaparral, he featured in the first and last episodes of another classic western – Gunsmoke. There was no question Jerry’s chameleon-like performances meant he would never be short of work. His roles were incredibly diverse, including appearances in the original Star Trek series! He plays Chekov’s (Walter Koenig) stunt double during season two’s episode, The Trouble with Tribbles. Jerry left High Chaparral after the first season to return to stunt work. Along with Bob Hoy, he became one of the best known stuntmen in Hollywood. It is an indisputable fact that those involved in the casting of High Chaparral actors had a flair for picking the perfect individual for a role. Anthony Caruso is another example of this. Having over 200 film and television credits to his name he was a seasoned actor who made the role of El Lobo his own. 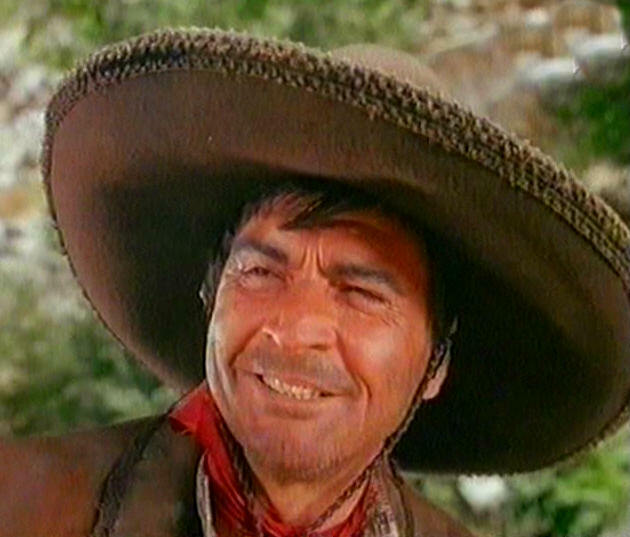 Active in the industry for 50 years and often playing the villain, Anthony’s El Lobo has to be one of the most loveable rogues we encounter in High Chaparral. You wouldn’t want to know El Lobo, you certainly couldn’t trust him, and yet when he makes his appearances, we are always happy to see him. Now that’s talent! Another actor who featured in the likes of Gunsmoke, Star Trek and even Get Smart, Anthony was perfect for westerns. His gravelly voice and somewhat bouldery face made him the perfect villain. Most people want the bandit to be arrested and jailed. We love to see El Lobo get caught for his crimes yet we are always happy to learn that he got away, giving promise that he would return. He has a mystery friendship with Mano. It is only casually explained by Mano as El Lobo being someone he knew a long time ago. This is another example of a supporting character shining light on one of the stars. The friendship adds another layer to Mano’s character. To create someone who is both dangerous and brutal, yet somehow likeable is a rare thing indeed. Anthony Caruso did it well. Even when he’s being serious, Pedro can make me smile. His expression always reminds me of a Basset Hound. Roberto was another seasoned actor with a career spanning 40 years and nearly 100 appearances to his credit. If we consider what we have read about the cast so far, it makes a person wonder how many centuries of experience went into the making of High Chaparral! 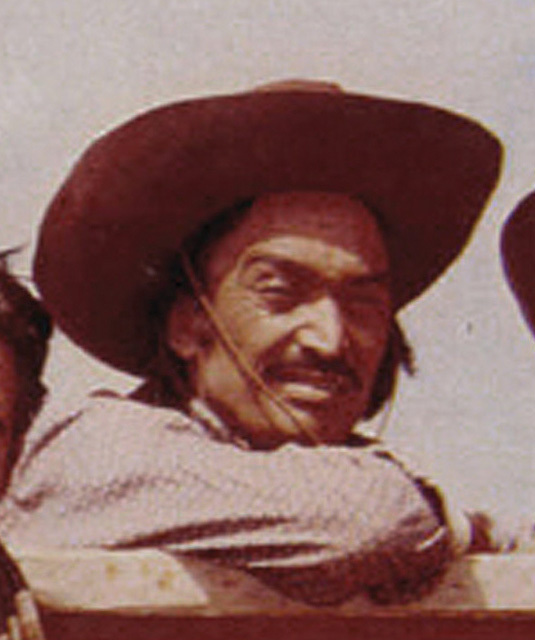 Like many of the others, Roberto also appeared in The Outlaws prior to arriving at the Cannon ranch. It’s as if fate determined to bring all these great people together in one show. Like Vaquero, Pedro is a jack-of-all-trades, though unlike the dignified Vaquero, he doesn’t spend time in the Cannon house. He also lacks Vaquero’s cooking skills! Aside from appearing in numerous westerns, including an uncredited role of ‘villager’ in The Magnificent Seven, Roberto featured in a variety of roles in shows including Mr Ed, FBI, Get Smart and Kung Fu. In every role, there was a certain something that made you remember him. He made Pedro a loveable, reliable yet sometimes muddled up member of the bunkhouse, adding the perfect blend of light heartedness to the gang. Like the others, we know very little about Pedro except that he grew up with a cousin making fireworks and that cousin later went on to become an undertaker. Pedro brings fun to the series but also has common sense. This is demonstrated when he borrows a few coffins from his cousin to smuggle fireworks in The Firing Wall, thus saving the lives of Don Sebastian, Mano and many of the Chaparral’s residents. 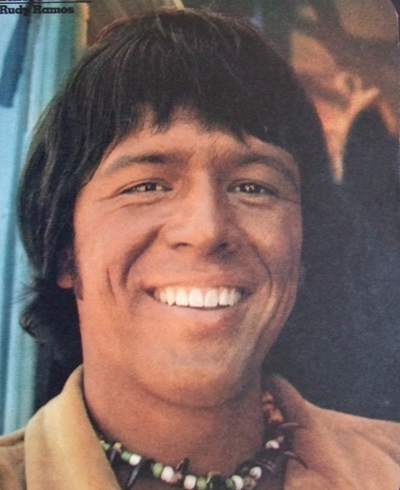 Despite his gangly, humorous portrayal of Pedro, Roberto gives a convincing performance of a skilled cowboy who is loyal and dependable – presenting another unique character for the show. Next time, we conclude our series with Rudy Ramos (Wind), Frank Silvera (Don Sebastian Montoya) and Gilbert Roland (Don Domingo Montoya). Jerry Summers and Anthony Caruso weren’t the only High Chaparral actors to appear in Star Trek. Our own Henry Darrow was also featured in the newer Star Trek series, Voyager and Next Generation!